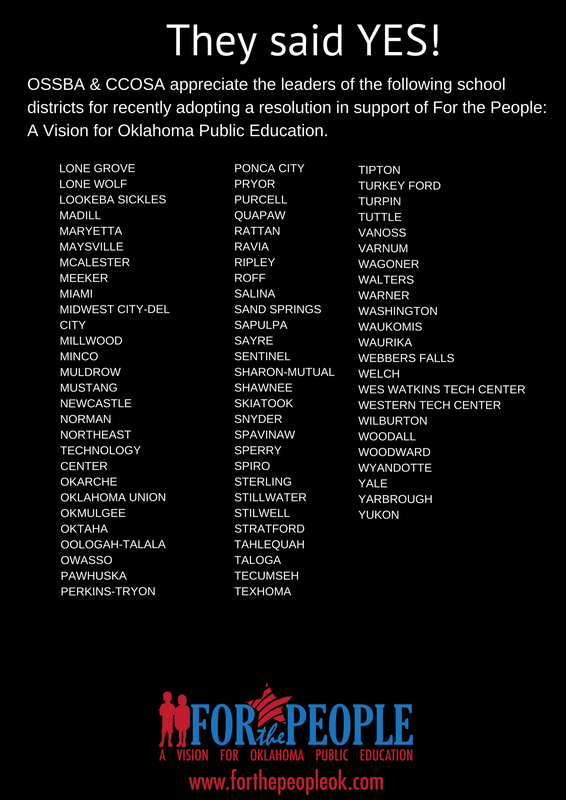 Please complete the information below to indicate your school district’s and board’s support of For the People: A Vision for Oklahoma Public Education. Click here to download a PDF copy of the resolution or click here for a Word version of the resolution. 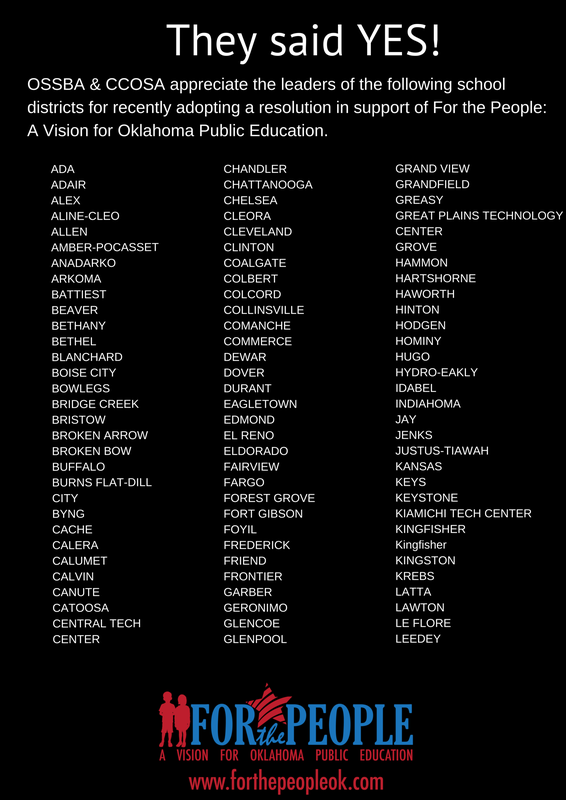 I was honored to have worked on this document with so many people legitimately seeking to improve education. This was also my first resolution to take before the school board in my new district of Yukon. It was approved unanimously, along with public endorsements from our school board for putting forth a resolution with answers and solutions to question that have been asked for a long time.